Dr Jeffrey Kestenberg graduated from the University of Melbourne in 1980 and completed his Master’s Degree in prosthodontics in 1982. In 1983 he was awarded a fellowship of the Royal Australasian College of Dental Surgeons. He has a keen interest in micro-dentistry, minimally invasive dentistry and laser dentistry. In recognition of his efforts, Jeff was awarded a Fellowship of the World Congress of Minimally Invasive Dentistry. He also has an interest in the dental treatment of tongue tie and /or lip tie, snoring and obstructive sleep apnoea. 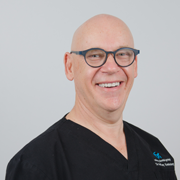 Jeff has been at Coburg Dental Group since 1981 and is a consultant in Prosthodontics at Monash Medical Centre where he treats cancer patients after mouth surgery to reconstruct their teeth. He has also been a clinical teacher and examiner for final year students at the University of Melbourne and is an examiner for the Royal Australasian College of Dental Surgeons. Furthermore he is a Panel member for the Dental Board of Australia / Australian Health Practitioner Regulation Agency and has mentored and audited dentists for those organizations. He has also lectured locally, interstate and overseas to undergraduate and graduate dentists on laser dentistry, prosthodontics and obstructive sleep apnoea. Dr Meredith Metin graduated from The University of Melbourne with a Bachelor of Dental Science in 1996. She began her career at Monash Medical Centre as a Dental Resident in 1997. While there she treated medically compromised and trauma patients. It was there where she met Dr Jeffery Kestenberg, and she came to work with him at Coburg Dental Group in 1998. Meredith has always been an active member of the Australia Dental Association (ADA) and was a member of the Dental Health Education Committee and Fluoridation Committee between 1999 and 2005. She was the Chairman of the Dental Health Education Committee of the ADA between 2003 and 2005. Meredith’s areas of interest are Preventive and Restorative Dentistry. She is married with two sons. Matthew started work at Coburg Dental Group in 2011 as an Oral Health Therapist, specifically working with children. He has since completed his Masters of Dentistry at Latrobe University and Post Graduate Diploma of Clinical Dentistry in Orthodontics. Matthew strives to help all of his patients feel comfortable in the dental chair, understand all aspects of their dental health and the options available for managing any problems that may arise. He feels that patient education is the most important role of the dentist and is essential to achieve ideal outcomes for everyone he sees. 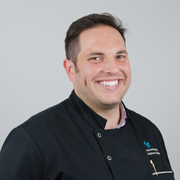 Orthodontics (braces), general restorative treatment and treatment planning are Matt’s dental passions, but he incorporates all facets of dentistry in the plans he develops for patients. 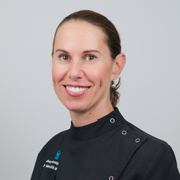 Dr Christina Jovanovic graduated from the Masters-level Doctor of Dental Surgery from the University of Melbourne and has also previously completed a Bachelor of Medical Science. Eight years of graduate education and clinical experience has ensured that Dr Jovanovic works to an extremely high standard and strives to raise the bar for the benefit of her patients. Dr Jovanovic began her career as a Dental Resident at the Monash Medical Centre, treating medically compromised patients and working on-call for the Emergency Department. She worked closely with specialists in all fields of medicine and dentistry, and this is where she met Dr Jeffrey Kestenberg, she gained much experience in treatment planning for challenging and complex cases, managing dental trauma, and treating a wide array of rare and interesting dental anomalies in both children and adults. Dr Jovanovic believes in providing ethical, high quality and comprehensive dental care for all her patients, placing utmost importance on long term good oral health. Dr Jovanovic shows great care towards very anxious patients and ensures that all of those she treats are made to feel comfortable, offering pain-free dentistry and treating them as if they were her own family. Her passion for dentistry covers a broad range of topics but she takes a keen interest in oral surgery, endodontics (root canal treatment), aesthetic dentistry and paediatrics. She continually strives to expand her skills and knowledge through ongoing and regular professional development and is a current member of the Australian Dental Association. Dr Jovanovic has served on the Australian Dental Association Victorian Board Recent Graduates and Students’ Committee from 2013 – 2018 and is currently serving on the Continuing Professional Development Committee, while also teaching dental students from the University of Melbourne. Dr Kenny Chong graduated from The University of Otago (NZ) with a Bachelor of Dental Surgery in 2001. He began his career at the Maxillofacial Department of Waikato Hospital in New Zealand as the Dental Registrar in 2002. While there, he treated medically compromised and trauma patients. In 2003 Dr Chong moved to Melbourne, Australia where he worked at multiple practices both in the private and public sector. Kenny furthered his studies at the University of Melbourne where he gained a Graduate Diploma in Clinical Dentistry in 2005 and Doctorate in Clinical Dentistry – Fixed Prosthodontics in 2012. Kenny is the convener of the (DDS) Fixed Prosthodontics program at Melbourne Dental School where he is involved in the lead role of educating and training the next generation of dental graduates and post graduate students. Amongst his other commitments he maintains his role as a consultant prosthodontist at the Royal Dental Hospital of Melbourne. He is an active member of the Academy of Australian and New Zealand and the Australian Dental Association (ADA). Dr Darshan Brar joined Coburg Dental Group in 2014. She has extensive experience in dentistry spanning 15 years. She completed her Graduate Certificate in Clinical Dentistry in 2009 from the University of Melbourne. 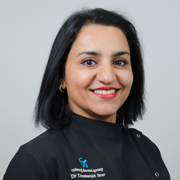 Highly skilled in all areas of general dentistry, Dr Brar has particular interest and expertise in endodontics (root canal treatment), prosthodontics, cosmetic dentistry and the dental needs of patients with chronic and complex medical conditions. Dr Brar places high value on patient satisfaction and building lasting relationships. She is known for her patience, gentleness and skill. She has been involved in community dentistry for several years, identifying patients’ needs, developing individualized treatment plans and preventative programs. In accordance with her goal of incorporating new and advanced technologies into her practice, Dr Brar participates in continuing education workshops and seminars. Darshan lives with her husband and two daughters. She enjoys running, reading fiction, oil painting and spending time with her family. 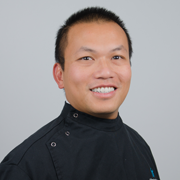 Dr Luo has been at Coburg Dental Group since 2013. During her student years, she received a prize in Paediatric Dentistry and continues to enjoy treating children. Helen’s interests include general preventive and restorative dental care, cosmetic dentistry, and laser dentistry, ceramic restorations including one visit crowns and providing comprehensive treatment plans for her patients. Her philosophy is to provide minimally invasive, quality dental treatment to her patients in a gentle, caring environment. Helen is a people person and enjoys getting to know her patients personally and building a long term relationship with them. Helen has two daughters and is the school council president for their local primary school. She also enjoys training for fitness events and enjoys reading and gardening. Mohammed is a registered dental hygienist who has been working at Coburg Dental Group since the year 2000, providing many years of invaluable experience. He completed a Diploma in Oral Health Therapy at the University of Melbourne, after completing a Bachelor of Nursing degree at tertiary level. As an active and long-standing member of the Dental Hygienists Association of Australia (D.H.A.A. ), Mohammed has participated and completed many continuing educational programs and courses all around the world, including in the U.S.A., the U.A.E., and Indonesia. This has enabled him to add to his already impressive dental skills and knowledge, and also keeps him up-to-date with anything new in dentistry, enhancing the quality of his treatment. A very experienced and well-rounded dental hygienist, Mohammed takes exceptional care that is individually tailored to all his clients, who come from all walks of life, and from all parts of the world. 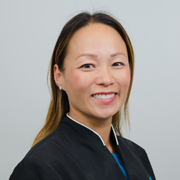 Vicky is a registered dental hygienist and has a Diploma in Oral Health Therapy from the University of Melbourne. Graduating in 2002, she received both the Dental Practice Board of Victoria Prize and Dental Hygienists Association Award for ‘Best Clinical Skills, with an emphasis toward patient care and management’. She previously worked in the field of orthodontics and has been working with us at Coburg Dental Group since January 2003. She has also undertaken extra training in the field of Orofacial Myology and works with our tongue and lip tie patients. She helped to develop the “thumbstop” program at Coburg Dental Group. Mandy is a registered dental hygienist and completed her training at Adelaide University in 1978. Adelaide provided the first course in Australia to train Dental Hygienists and Mandy was one of 10 students to be trained in its third year of existence. Mandy has worked at Coburg Dental Group since 2001. Alex began working at Coburg Dental Group in 2010 as a trainee dental assistant, completing her Certificate III in Dental Assisting at RMIT. Since then, she has undertaken several roles at the practice, including administration and management positions, her current one being a registered Dental Hygienist. Alex completed an Advanced Diploma in Oral Health (Dental Hygiene) in Adelaide where she was the recipient of the Jane Chalmers Memorial Award for Excellence in Special Needs and Geriatric Dentistry. Alex is also a member of the Dental Hygienists Association of Australia. Outside of work Alex enjoys live music, walking her dog (Bruno the Pug) and watching the Western Bulldogs win. 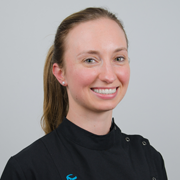 Kate has been with Coburg Dental Group since 2007 after graduating from the University of Melbourne in 2000. Outside of work Kate enjoys spending time with her husband and young family of four boys. Kate has wanted to be a dental hygienist since she was 9 years old and loves her job to this day. Kate has additional qualifications in orthodontics, tooth whitening, lasers, intra and extra oral radiology. Kate has been an active member of the Dental Hygiene Association of Victoria holding executive positions including President and Treasurer. More recently Kate has taken a keen interest in Orofacial Myology and is currently completing her Diploma of Breast Feeding Management. This adds to her interest in oral development, infant and childhood feeding, airways, swallowing and function. Shugufa has been part of our team since 2016, after graduating from The Bachelor of Oral Health at The University of Melbourne. Her transition to oral health was long engraved within her career path, as she was always passionate about dental care from a young age. Having a degree in Biomedical Science with honors, prior to oral health, means that she has a holistic approach to her patients. Being an oral health therapist, means that she is qualified to undertake comprehensive examinations of all ages, diagnose, take x-rays, and perform scale & cleans along with undertaking fillings for children and adolescents up to the age of 25. At Coburg Dental Group, she mainly provides hygiene services to our patients. Shugufa is passionate about dental desensitization and hence strives to make every appointment a pleasurable experience for everyone. Furthermore, she aims to motivate, educate and empower her patients. Outside of dentistry, Shugufa enjoys spending time with her family and beloved niece, loves the outdoors and baking away when at home. Sue graduated as a Dental Therapist in 1980 and has been working Fridays here at Coburg Dental Group since early 2009. Since graduating, Sue has worked for the School Dental Service – now based in local community health centers and continues to work there Tuesdays and Wednesdays. Sue is also involved in clinical supervision of Oral Health Therapy students for the University of Melbourne at the Royal Dental Hospital. Sue is married with three children. She has been involved in the Scouting and Guiding movements and is enjoying her commitment to the Lions Club at present. Sue enjoys nothing more than providing a pleasurable dental experience for all who step into her dental surgery.